Please Note: The instructions below refer to using a desktop email client only. 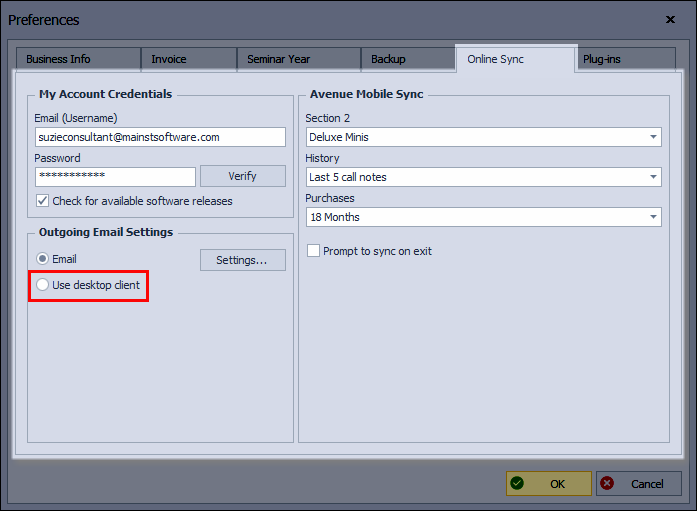 To link an online email address in Boulevard see Using Your Online Email Address in Boulevard. To link Boulevard with your email address you need to use an email client such as Microsoft Outlook (Included in Office 365), Mozilla Thunderbird, or Windows Live Mail. Please Note: Due to each Windows operating system being different, as well as desktop applications, the instructions below are a general guide. From your Windows Control Panel specify the desktop email application you are using (examples below). From your desktop email application, go into the settings and use the information collected from above to set up your email address. Please Note: Due to the many variables outside of our control, Main Street Software cannot provide any support when linking Boulevard with third-party email clients. These basic instructions are provided as a courtesy, and are intended for advanced users only.